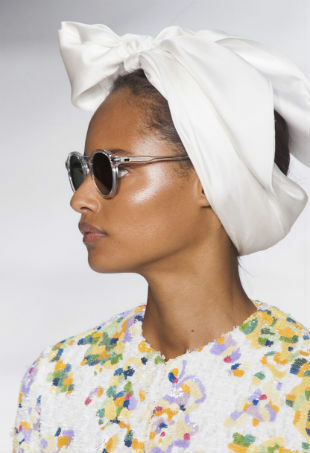 While we wait for many of these trends to trickle down, we’ve culled the major haute couture accessories from this week's shows. Here are a few of our favorite crazy looks from this past week in Paris. 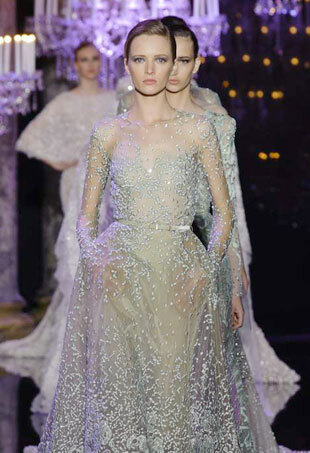 The Fall 2014 Haute Couture shows have wrapped with a mix of good, bad and ugly. Here are the looks, for better or worse, that we can't stop thinking about. 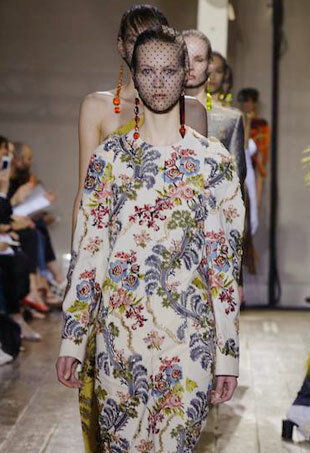 Check out which collections impressed and disappointed this haute couture season. 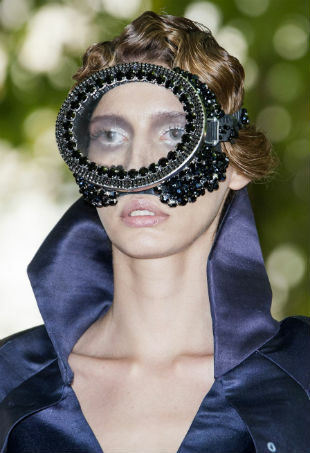 You never know what to expect when it comes to haute couture beauty. Who knew prep could be so pretty? 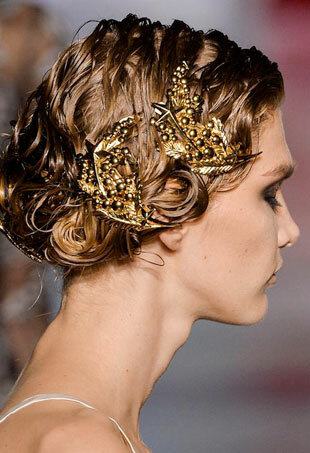 Check out some of our favorite snaps of haute couture backstage. 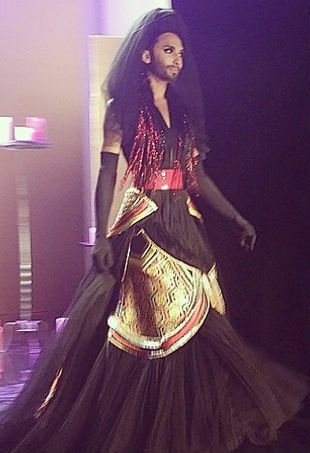 Here’s hoping Viktor & Rolf’s magic returns next season. A haute couture collection fit for a deity. After the hype of other shows, no doubt couture clients will still be hearing the siren call of these luxe, sea-inspired pieces. 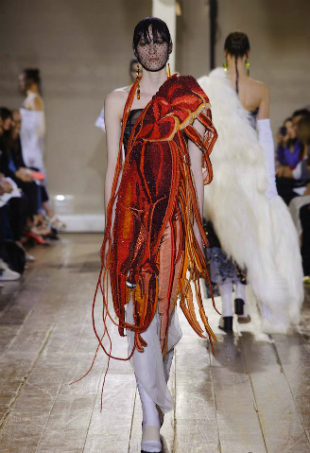 Who exactly is Maison Martin Margiela’s customer? Pastels prove popular on the streets of Paris. 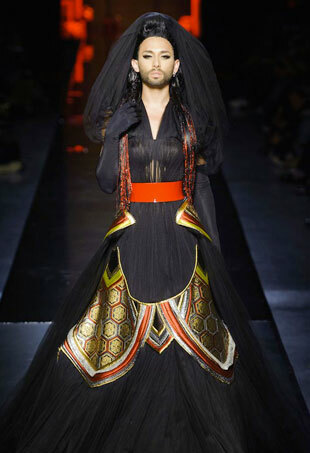 Jean Paul Gaultier Fall 2014 Haute Couture collection. Armani shows plenty of wearable drama on his runway. Vauthier’s Fall 2014 haute couture collection indeed seemed tailor-made for adventurous beauties, filled as it was with sultry looks sure to set the red carpet ablaze. Anyone would be chuffed to be in his position, but the Australian director had business on the mind. A collection just as fitting for Marie Antoinette as it is for today's modern day couture buying customers. 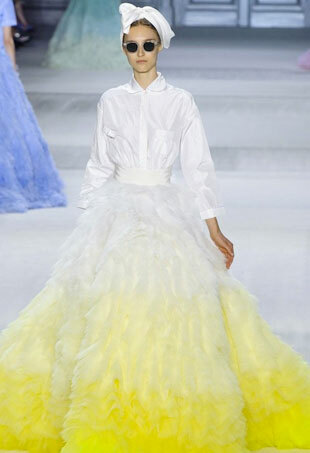 Valli’s lush collection sits comfortably within the framework thus far established this couture season.